We have four en-suite double rooms and one en-suite family room, each tastefully decorated with their own individual lakeland charm. 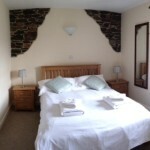 For families our Buttermere family room sleeps 4 in one double room and an adjacent twin room. It also offers a family bathroom with bath and shower. 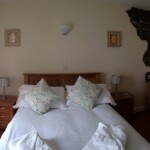 We can fit an extra folding bed or cot into most of our rooms. Please call to discuss your specific requirements.